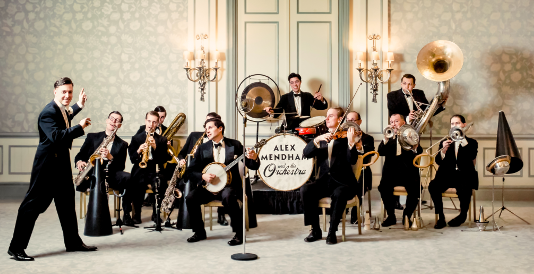 Formed in 2010 under the direction of Alex Mendham, the orchestra authentically performs and records period dance music from the 1920s and 30s. The passion the orchestra has for this music is what keeps them together. No corner is cut when it comes to preserving the music. From their vintage instruments to the pomade on their hair, no detail is overlooked. The orchestra also prides itself on its library of music. Thousands of rare dance band arrangements from the period. All of these things are indispensable tools of the trade. .
From its formation, the Orchestra has maintained an active working schedule: from entertaining patrons of The Dover Street Arts Club and audiences at the Royal Festival Hall, from the London Balboa Festival to the world famous Tower Ballroom in Blackpool; coupled with regular live broadcasts on BBC Radio. And, following a highly successful New Year's Eve Ball engagement at the Savoy Hotel, they have just embarked on a residency at this prestigious West End venue (they are also booked for the 2013 Ball). With this, they are following in the footsteps of such hallowed 1920s and 30s dance band names as Carroll Gibbons and his Savoy Orpheans and the Savoy Havana Band. The orchestra has enjoyed a busy working schedule in London's West End performing in such venues as The Pigalle Club on Piccadilly Circus and The Floridita on Wardour Street. .
Alex Mendham has enjoyed a rich and varied solo career appearing as both vocalist and saxophonist with Vince Giordano and The Nighthawks on Broadway New York (now appearing in HBO's Boardwalk Empire), at the Bix Beiderbecke Jazz Festival, Davenport lowa and at Shanghai Jazz, New Jersey. . 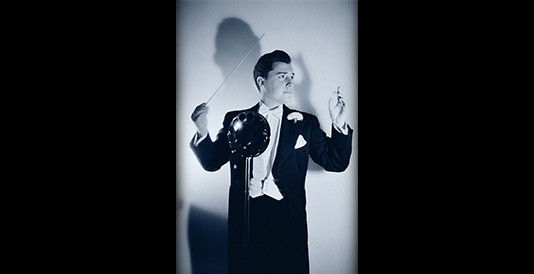 Most recently appearing as guest vocalist with Dean Mora and His Orchestra onboard HMS Queen Mary, Long Beach, California as part of the yearly Art Deco Festival. You can dance to them, you can party, you can just sit back and listen. The Orchestra play for many audience types and have a rapidly growing fan base, especially of young followers. Catch them now!